Why is a controversial ex-mayor of Kaunas considering Belarus seeking political asylum? The Centre of Legal Transformation appeals for a public hearing on the legislative project "On Alternative Military Service". Recently the head of the independent Union of Poles in Belarus, Mieczyslaw Jaskievicz made a controversial statement about Belarusian Catholics. 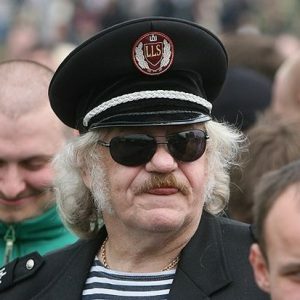 In an interview given to Belarusian Partisan he related that he belongs to a Catholic Church with an exclusively Polish identity. In his words, Belarusians and Russians are Orthodox. It happens often that people, particularly in the Poland-Belarus borderland, define their national identity in terms of their religious affiliation. Such an oversimplification remains valid due to the dominating presence of the Polish language in the religious services in the past. Over the last two decades the Church in Belarus, however, has seriously been changing its approach to Belarusian believers. In addition to its Polish language services it has also the Belarusian language into its churches. At the same time, Belarusian authorities still have not found a way to deal with the Catholic Church. On the one hand, Minsk is aware of the advantages of maintaining proper relations with the Church and how it helps to support the myth of a religiously tolerant Belarus. On the other hand, Lukashenka’s recent statement about a spy within the Catholic Church in Belarus and his criticism of the Orthodox Church signals that he is keeping a close eye on activities of religious institutions. Over the last decade the number of people declaring Polish identity in Belarus has declined. In 1999, over 396,000 people declared themselves Poles, over a ten year time span this number has dropped to 295,000. Remarkably, nearly 60% of those who identify themselves as Poles speak Belarusian at home. This means that the majority of them use Polish only during church services, but Belarusian in their daily life. Largely due to this, it happens that they are sometimes called “church Poles”, a reference to the fact of their usage Polish mainly at their Catholic church services. During last year’s Congress of Poles Abroad in Warsaw participant-activists argued that conditions for Polish minority in Belarus were deteriorating. The authorities had already managed to split the Union of Poles into two organisations – one recognised by the State and the other considered “disloyal” in the eyes of Minsk. The Polish activists also highlighted the serious difficulties with organising teaching in Polish. In their opinion, such difficulties hindered the preservation of Polish identity in Belarus. Who needs the Belarusian language in the Catholic Church? The Belarusian language for a long time remained absent in the Catholic Church in Belarus. Since the outbreak of the Second World War in 1939 the Nazi occupiers completely eliminated Belarusian’s usage in religious services and institutions. Catholic officials in Belarus started re-introducing the language into church life only in the 1990s. Then a special commission was created and started translating liturgical texts into Belarusian. In August 2004, the Archbishop of Minsk-Mahiliou, Cardinal Kazimierz Swiontek presented the first edition of an important liturgical book in Belarusian. The majority of the Catholic parishes in Western Belarus conduct bilingual service, Belarusian and Polish. However, an oversimplification such as “in Belarus those who attend the Catholic Church are Poles and those who go to the Orthodox Church are either Belarusians or Russians” still persists in Belarus, particularly among the older generation. This is in large part due to the historical legacy of the region: in the past Catholicism became the core of the concept of Polish identity. On the other hand, many started to connect Orthodoxy with Russianness. Paradoxically, today the Church is one of the most influential socio-religious institutions and de facto promotes the Belarusian language simply through use of it in its services. Recently, while the Orthodox Church was celebrating the 1025th anniversary of the baptism of Kievan Rus, Alexander Lukashenka announced at the end of July that they caught a spy in the Belarusian Catholic Church. He said “we detained one of the traitors who served in the special services and who through the representatives of the Catholic Church is related to foreign states”. Despite the fact that he did not reveal the name of the suspect, the media quickly found out whom it was he was speaking about. In the beginning of June the KGB arrested Father Uladzislau Lazar, a Belarusian Catholic priest from Barysau on charges of espionage. Father Uladzislau has a Belarusian passport and was educated in Belarus and Poland. The affair certainly casts a shadow over the whole Catholic Church in Belarus. The activists of the Belarusian Christian Party issued a letter of support for Father Lazar’s release. 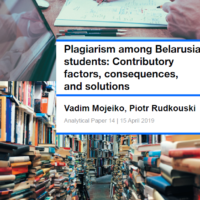 The authors write that “We believe that the arrest of the priest is an attempt to blackmail the Catholic Church and intimidate the Belarusian public”. Naviny.by has reported that in five days the petition has collected over 900 signatures. So far the Belarusian authorities have had a rather mixed approach to the Catholic Church, but certainly more favourable than that which they have had towards Protestant communities. Minsk’s position often depends upon the advantages it can gain from one or another approach. Certainly, the authorities need the Catholic Church to access Vatican, and through it, Western Europe. In addition, the Catholic Church remains the second largest in Belarus after the Orthodox Church. The authorities cannot just ignore this fact. Last October the Holy See’s diplomatic representative, Cardinal Claudio Gugerotti, visited with Belarusian prisoners of conscience. Amongst others he met with Siarhei Kavalenka, Mikola Statkievich, Ales Bialatski and Pavel Sieviaryniec. Certainly this was a rather unexpected event considering the fact how the authorities have conducted themselves with regards to political prisoners rights. Lukashenka recently demonstrated that he wants to play a role in the country’s religious life. He talked about a need to reform the Orthodox Church by making it more suitable for people, including a reduction in the length of its services. Belarusian analysts are still not sure why he did not go to Kyiv to join the presidents of Russia and Ukraine and top Orthodox hierarchs from around the world at the celebrations surrounding the baptism of Kievan Rus. Perhaps by becoming more engaged in religious affairs he is trying to compensate for missing the event.